Our workforce is shrinking. Our good-paying production jobs are being replaced by lower-paying service jobs. Compared to the rest of the nation, our wages are lower, but our cost of living is higher. Our economy is highly dependent on spending from the federal government. These conditions are choking economic growth and threatening our future. The Alliance for Maine is a non-partisan, community-based effort to educate Mainers about our economic challenges and the need for a plan to repair and grow our economy. Can Maine Resist the Temptation to Settle for Bite-Sized Solutions? The strength of Maine’s economy has been weakening for decades due to our aging population, loss of good-paying jobs and high costs of living. Maine has entered an era of “negative population growth.” After years of declining births, Maine now has more deaths than births. In addition, more people are leaving Maine than moving here. Maine’s workforce is the oldest in the nation and tens of thousands of our current workers are retiring. By 2024, our working age population will drop by 64,000 and our retirees will increase by 79,000. As a result, the size of our workforce is shrinking. Maine’s economy has another challenge. We’ve lost goods producing jobs, like manufacturing and forestry, and replaced them with lower-paying service jobs, like retail and fast food. In the past 15 years, we’ve lost 20,000 production jobs while virtually all of our job growth has been in the service sector. Production jobs pay 19% more than service jobs, on average. Losing better-paying jobs is a problem because average wages in Maine are already 20% below the national average and rank 45th among all states. Lower wages might be okay if it cost less to live in Maine. But it doesn’t. Our total costs of living are 11% higher than average. We pay 12% more for energy and 25% more for health care. We spend 13% more of our personal incomes on public education, compared to the national average. We also pay higher taxes to support higher-than-average state government spending. Maine’s economy is one of the smallest, even among states with similar populations. Our economic output per worker ranks 49th in the nation. Weak economic performance and high costs prevent us from attracting investments that could help companies start and expand here. In fact, Maine receives just a fraction of the private investment it should, based on our size. As a result, Maine has become less self-sufficient, relying on federal government spending to support 30% of our economy. Current projections from state officials are for less than 1% job growth in the future. A shrinking workforce, loss of good-paying jobs, declining wages, higher taxes and higher cost of living. It’s a formula for economic decline. In the past half century, Maine’s mix of jobs has changed dramatically. Our proportion of “goods producing” jobs has declined from 44% of all jobs to just 14%. In their place are more “service” sector and government jobs. “Goods producing” jobs are critical to an economy – they are “foundational” jobs. But what is a “foundational” job and how is it different? A “foundational job” is one that adds value to our economy. It supports other jobs and pays for public programs. A Maine worker helps produce paper, clothing, lumber or other “finished goods” that are sold in another state . . . even another country. The money from those sales gets added to Maine’s economy. When that money gets spent in Maine, it supports other jobs that sell local goods and services to workers and their families. Taxes on those jobs pays for government services, police, firefighters and education. Unfortunately, Maine has been losing these “foundational jobs.” In the last 15 years, we’ve lost more than 20,000 of these jobs. In their place are more lower-paying “service sector” jobs. In Maine today, most jobs are in health care, social assistance, retail, hospitality, financial services and government. Service jobs that take care of our own residents are important. But they only recycle the same money among Mainers. They don’t bring new money here to create jobs and grow our economy. Maine state officials predict our jobs will grow by less than 1% over the next several years, even though jobs will grow by more than 6% nationally. And Maine’s only job gains will be in health care, professional services and hospitality. If we want to grow our economy, Maine needs a plan for growing foundational jobs that sell finished goods and high-value services outside of Maine. 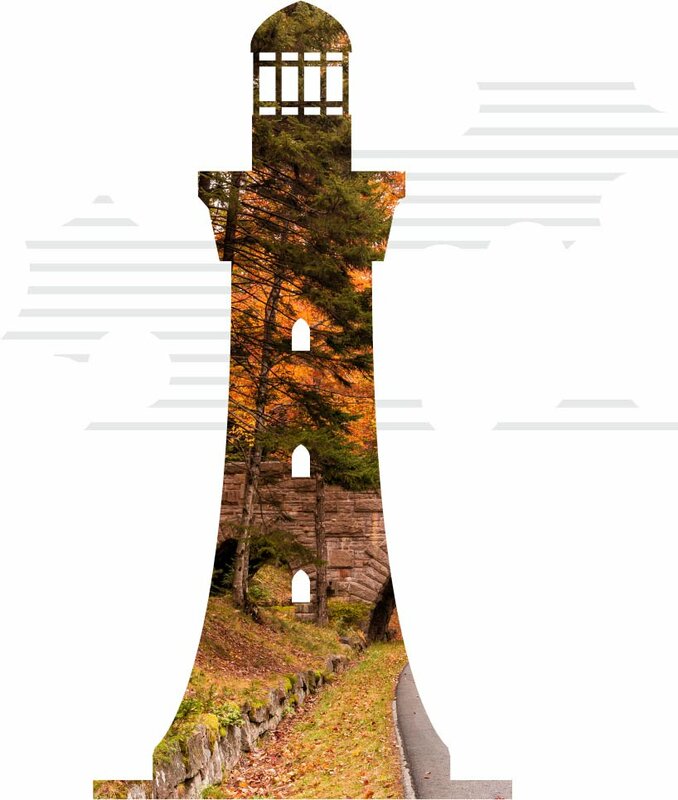 How do we put Maine on a path toward economic prosperity? It starts with having a long-term economic plan. Bringing (and keeping) good-paying jobs for Maine. A jobs strategy should build on Maine’s strengths. It should identify the companies and jobs of the future and how Maine can compete to bring those jobs here. At the same time, this strategy should look at how we can help our existing Maine companies expand and add more jobs. Our policies should make it easier to start and run businesses in Maine. Educating and training tomorrow’s workforce. If we are going to recruit companies and jobs successfully into Maine, we must provide the workers they need. Future knowledge-based jobs will require advanced education degrees. At the same time, we also need vocational training for skilled trades workers. The plan should prioritize the best way to spend our educational and training dollars to prepare our future workforce. Since our population is shrinking, we also need a plan for bringing workers from out-of-state into Maine. Reducing costs for Maine families and businesses. The plan should recommend ways to reduce costs for both business and families. Maine’s high cost burdens hurt job growth and scare off potential investors. If wages keep declining and living costs keep rising, Maine families are going to have an even harder time making ends meet. Evaluating the economic impact of new laws. The plan should require that every new proposed law is reviewed for its impact on Maine’s economic development goals. Does it support or thwart Maine’s long-term strategy? There are many ways to measure the strength of Maine’s economy and our progress toward a brighter economic future. The Alliance for Maine has embraced the following metrics as critical for measuring our progress. Maine officials predict jobs will grow by less than 1% over the next several years, while jobs in the United States are projected to grow by more than 6%. Maine needs greater job growth. More of our new jobs should be in higher-paying, goods-producing industries, which today only make up 14% of our total jobs. Average Maine wages are among the lowest in the U.S. and 20% lower than average. Maine should grow high-value jobs with the aim of meeting or exceeding the national average. Nationally, the birth rate is 52% higher than the death rate. In Maine, the death rate is 6% higher than the birth rate. In addition, we have net migration out of Maine. Maine has the oldest population of any state. By 2024, Mainers between 25 and 64 will decline by 64,000, while Mainers 65 and older will increase by 79,000. As a result, Maine’s working age population will drop further as a percentage of the total population and the total workforce participation rate is expected to decline. We need policies that enable people to live and work in Maine. 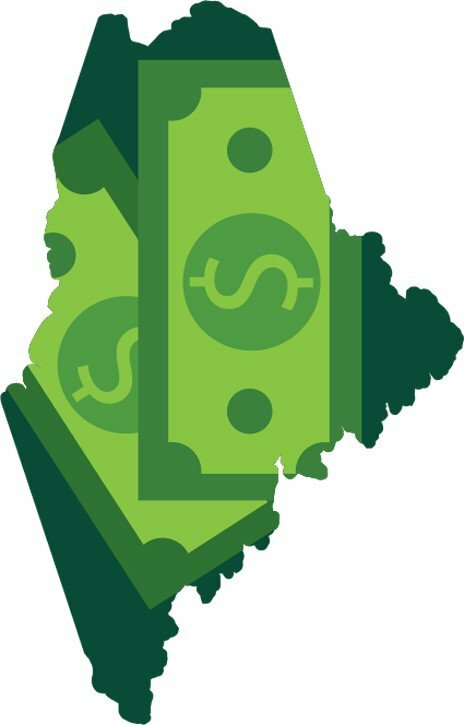 Maine’s cost of living is 11% higher than the national average. Mainers pay 12% more in monthly energy charges than the U.S. average. We pay 25% more in annual healthcare costs. Cost burdens should be lowered to the U.S. average. Maine is 0.4% of the U.S. population and 0.3% of the U.S. GDP, yet it garners just 0.1% of the U.S. venture capital investment. Maine should work to increase capital investment to at least its its share of GDP or population, which would be between $177 and $236 million per year. Maine’s high school graduation rate is somewhat higher than the U.S. average, yet the percent of high school graduates enrolling in college is lower. Maine spends 15% more per student than the U.S. average, costing residents 13% more of their income. Costs for public education should be brought in line with national averages. Federal funding makes up 36% of state government spending in Maine – higher than average among U.S. states. Maine should be working toward greater self-sufficiency and less dependency on the federal government. Please sign up to stay informed and help us work for a brighter economic future. © Alliance for Maine 2018. All Rights Reserved. Terms & Conditions.